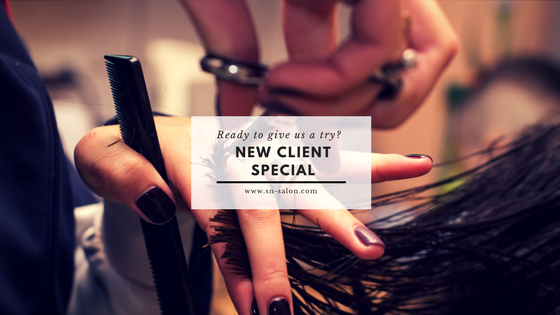 Now through June 30, 2018, new clients will enjoy $10 off their first service of $50 or more, or $20 off their first service of $100 or more*. Mention this promotion in order to receive the discount. *This offer is only valid with participating Stylists including Andrea, Stephanie, Julie, Marle and Taylor. There is no cash value associated with this promotion and it does not apply to existing clients.